Do you remember the last time you visited a different congregation for the first time? Maybe you were traveling or had just moved to the area. Do you remember feeling a little uneasy, having a hard time finding your way around, or sitting there waiting for someone to speak to you? 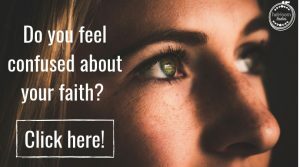 Visiting a new church can be difficult enough when you’re a Christian who knows what to expect from a worship service, but imagine that same visit from the perspective of a non- Christian. To a person with very little “church” experience—or maybe none at all—visiting a congregation for the first time can be very intimidating. Many congregations do a good job of recognizing newcomers and doing what they can to help them become familiar with the congregation and the worship service. But for the average visitor, the thought of a new group of people and an unfamiliar setting is enough to ramp up their anxiety level. Worship services only provide a limited amount of time for fellowshipping with friends and getting to know visitors, which means there is only a limited amount of time for those visitors to lower their guards and feel comfortable. That is one of the many reasons I am such a big fan of community outreach programs. About six years ago, my home congregation began hosting two annual events: “Trunk or Treat” and “Pizza with Santa.” They began as fun ways for the congregation to fellowship with each other during the holidays, but they have both quickly evolved into our largest evangelizing efforts. While our own congregation’s children are always welcome to participate, our target audience for these events are our community’s families. We advertise many different ways in order to make sure that everyone who lives nearby knows that they are invited. We post a large sign in front of our church building, create a Facebook event that gets shared many times over, share with our community’s online calendars and email groups, and drop off hundreds of fliers to local schools. These seemingly small efforts return huge dividends. During our first year hosting these events, we had no idea what to expect. We put together a committee of hard workers and hoped for the best. Would the unpredictable Alabama weather impact our event? Would members from our congregation participate? Would anyone from the community actually show up? I don’t remember our exact numbers from that first year, but suffice it to say, we were blown away! Every year since, the events have only grown bigger and bigger. 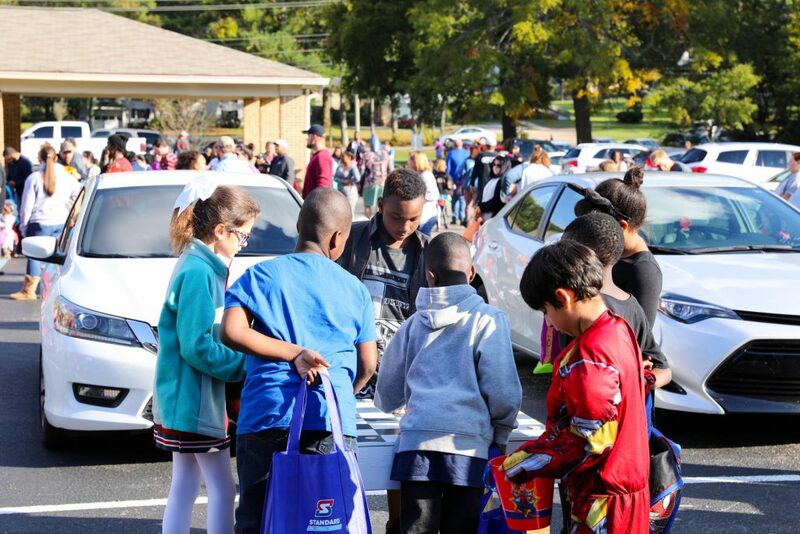 At our Trunk or Treat event this past October, we had an estimated 800-900 visitors come through our parking lot and interact with our members. To put that in perspective, our congregation is about 400 strong, and probably 25% of our members came and participated in Trunk or Treat. All Trunk or Treat visitors also received information about our Pizza with Santa event in December, and every family filled out a registration card that allowed us to learn a little bit about them. The registration cards provided space for our guests to indicate if they are currently active in a church, had prayer requests, wanted to start a Bible course by mail, or wanted to study the Bible with someone in their home. This year, 50 people listed prayer requests, 115 requested a Bible correspondence course, and 17 requested in-home Bible studies! And every year, we always have extra visitors at our worship services as a result of these events. 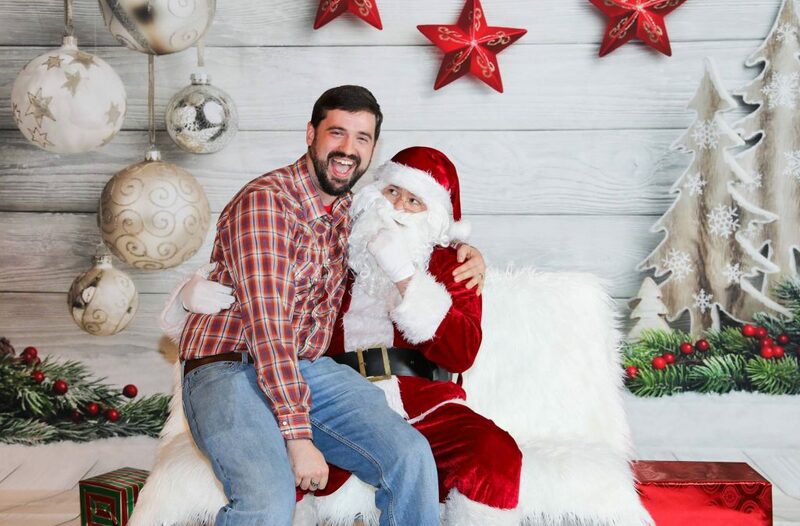 Our most recent Pizza with Santa was similarly successful. A line of guests from the community wove through our auditorium, through our foyer, and out the door for a solid two hours, all waiting to take a free picture with Santa. Each of those families also filled out registration cards, where we had 65 requests for Bible correspondence courses and five requests for in home Bible studies. Every single visitor received either a professional-quality print mailed to their home or a digital image sent to their email address, whichever they preferred. 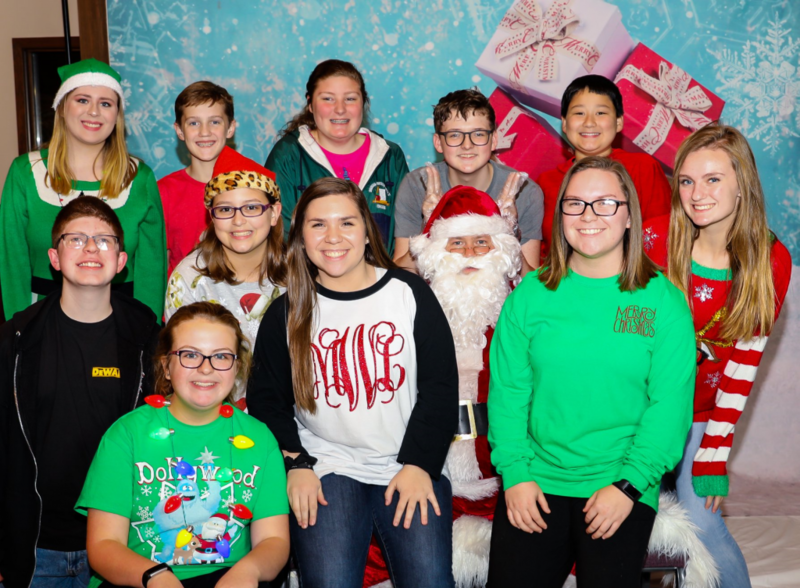 The most encouraging part of the night was recognizing familiar faces – many of the guests we saw at Pizza with Santa had also been at Trunk or Treat! At what other time could we possibly have close to 1,000 guests from our community come to our building and interact with our members? Inviting a stranger or new friend to a worship service with a bunch of people they don’t know could intimidate them or make them quickly reject you. But inviting someone to a free, safe event where their family will be shown the love of Christ and where they can see that this group of Christians isn’t intimidating is priceless—and in my experience, quite effective. 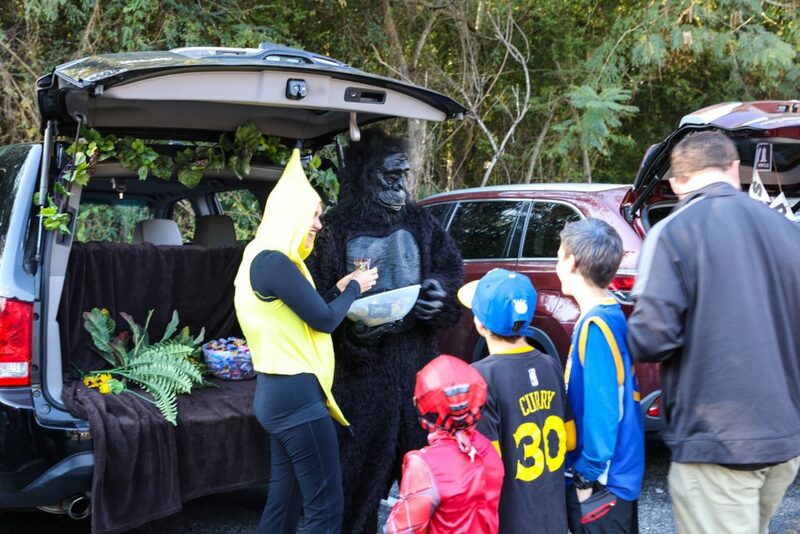 Worship services may provide only a short amount of time to meet someone, but an event like Trunk or Treat allows our visitors an hour or more to meet many of our congregation’s members and really get to know who we are and what we’re about. I once heard someone mention that they loved community outreach events because they helped visitors to see that the congregation is “just a bunch of regular people.” The truth behind that statement struck me, and helped me to see the real importance of these kind of events. Walking into a worship service with a different congregation for the first time can be intimidating. But going to a worship service for the first time with a bunch of people you already know? That’s a situation that will allow you to lower your guard, really get to know God and his people, and (hopefully) come back on a regular basis! None of our events—Trunk or Treat, Pizza with Santa, VBS, ladies’ days, retreats, door knocking campaigns, etc.—would be possible without a group of hardworking people to plan them. And notice I said group of people. The more people who help, the more the work can spread around. We have different people in charge of advertising, decorating, kitchen/food prep, setup/clean up, registration, and any other area of work that is necessary. This helps to make sure nothing is overlooked, and no one is overworked. Probably one of the most important parts of any of our events is the registration process. This is the point at which our visitors are greeted, oriented to the way the event is set up and where everything is, and asked for their information. 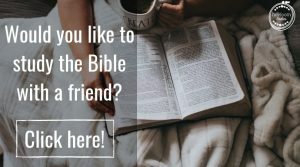 This information helps us to reach out to them later, whether it is a “thank you for attending” email, a Bible correspondence course, or an in- home study that they request. 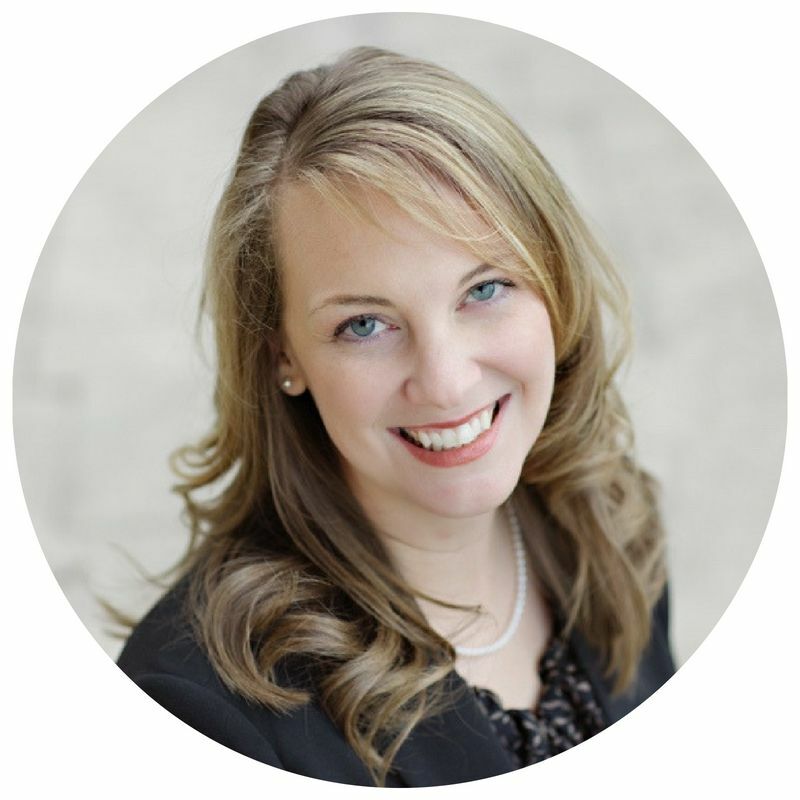 No community event is going to be successful without the help of the entire congregation. At every event, our members come out in droves to help ensure everything go smoothly and our visitors are well taken care of. Whether it’s donations of candy, drinks, prizes, or money; volunteers to run the registration, clean up, or work in the kitchen; or simply “minglers” with the gift of gab who can strike up a conversation with anyone, these events are definitely “all hands on deck” situations. But be sure to hype up the events well in advance—people need plenty of time to plan how they can help! As with any undertaking designed to further the kingdom, the greatest key to success is prayer, and lots of it! Prayer for the event itself, prayer for those planning and running the event, prayer for the congregation and its leadership, and prayer for the many souls being reached through that effort are all essential. Events like Trunk or Treat can seem frivolous or more stress-inducing than beneficial, but when you take a step back and look at the countless seeds that are being planted—seeds we may not see the fruit of on this side of eternity—all of the work becomes more than worth it.